We understand how much our customers love their Volkswagen. Whether you want to give your vehicle its own special flair or give it that extra edge against cold Winnipeg winters, our friendly and knowledgeable Parts Department is always available for you with a fully-stocked inventory of Volkswagen Original auto-parts and accessories. All Volkswagen Original parts come with an unlimited 2 Year / unlimited km warranty. 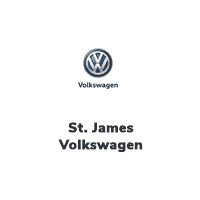 For more info, call our parts department at (204) 788-1107 or email us at parts@stjamesvw.com.